Manual handling equipment offers an economical alternative for those businesses with smaller materials handling requirements such as mechanics, supermarkets, workshops and hardware stores. Over load-pass valve protects operator and pump. Hand operated table descent control. Easy action foot operated hydraulic to lift the table. This is a electric pallet truck that is ideal for use in narrow aisles. It offers the same lifting capacity as a standard electric pallet jack just in a narrower version. This model is available in 1500kg and 1800kg. The unit features a tight turning circle, battery electric power, maintenance free battery and a built in charger. This pallet truck would suit a narrow aisled warehouse, supermarket or for use in in cargo containers. Integrated electric layout reduces wiring complexity, making the line clear, orderly and easy to repair. The electric system is reliable. Cover with reasonable design, reliable and easy to dismantle, which makes the maintenance of the electrical parts very easy. The steering wheel has automatic reset function. Adjustable steering wheel satisfies different drivers. Custom orders can be made at the factory of Xilin to suit your specifications. Manual equipment is reliable, sturdy and safe to operate, and with no licence required and it can be used by anyone once properly instructed. It is ideal for situations where space is restricted and can be either electrically operated, requiring daily charging of the batteries, or hand operated, in which case it can be used as and when needed. Types of manual handling equipment include pallet jacks, scissor lift tables, electric pullers and platform trucks, and Lencrow has a comprehensive range in stock now and ready to purchase from our major branches. Cheaper to buy – very affordable when compared to the cost of purchasing and maintaining a forklift. Cheaper to run – if battery operated, lifetime running costs are lower than gas or fuel powered equipment. Less maintenance – the less sophisticated the equipment, the less maintenance it will require. Easier to operate – does not usually require a licence or the added expense of a licensed operator. Greater maneuverability – can be used in restricted spaces where a larger machine would not fit. 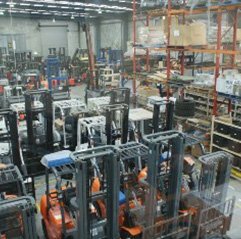 Whether it’s manual handling equipment or electric, gas or fuel powered forklifts, Lencrow Forklifts has the largest and most comprehensive range of new, used and hire equipment in Australia. We have a solution to every logistics problem and we stand behind everything we sell with after sales service and support that always goes above and beyond. 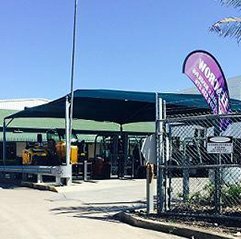 The workshops at each of our branches are fully equipped with the latest technology and our expert technicians can provide a complete range of mechanical and technical services and support. Our Planned Preventative Maintenance System (PPMS) means we can program a tailored service schedule for your equipment to minimise your running costs, based on its age and how it is used. 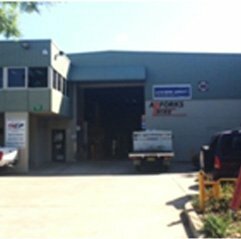 We also offer a 24/7 emergency forklift repair service for those times when you can’t afford to be non-operational, with average 2 hour response times in metro areas and around 4 hours in regional areas. 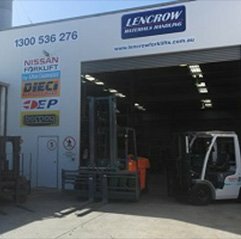 Lencrow is an Australian owned and operated family business with more than 40 years experience and our aim has always been to ensure Australian industry has an all-in-one materials handling solution available to it. And with five branches across Australia and more than 60 skilled employees, we think we have what it takes to continue filling that role. Looking for a narrow aisle forklift? To learn more about any of our manual handling products, be sure to browse our range online or give one of our consultants a call on 1300 536 276. 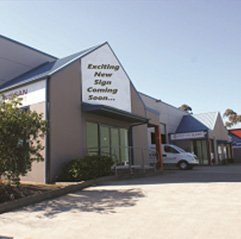 You can also get in contact with us any time by filling in our online enquiry form or by paying a visit to one of our five locations in Melbourne, Sydney, Newcastle, Adelaide or Brisbane.